We've covered many ways that you can save space on your storage drives over the years, most recently discussing how to manually go through large files and testing cleanup utilities, resetting Windows to its default state without losing your files, and methods for deleting the Windows.old backup, in all scenarios potentially reclaiming several gigabytes of storage in the process. Deleting duplicate files on your system could easily result in clean out that is similarly sizable if only a few large files are found. Windows doesn't make it easy to deal with duplicate files all by itself. While there are many options for accomplishing this sort of task with batch files or PowerShell scripts, we assume most people would prefer something that doesn't involve a command prompt. 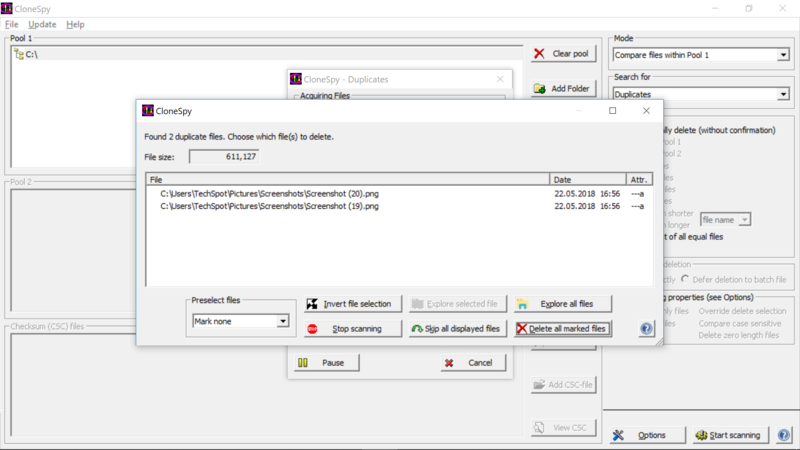 Without installing third party software, your only option is running a search for a specific file via Windows Explorer and manually deleting the duplicates that appear. This isn't helpful, of course, if you don't know which files have duplicates. 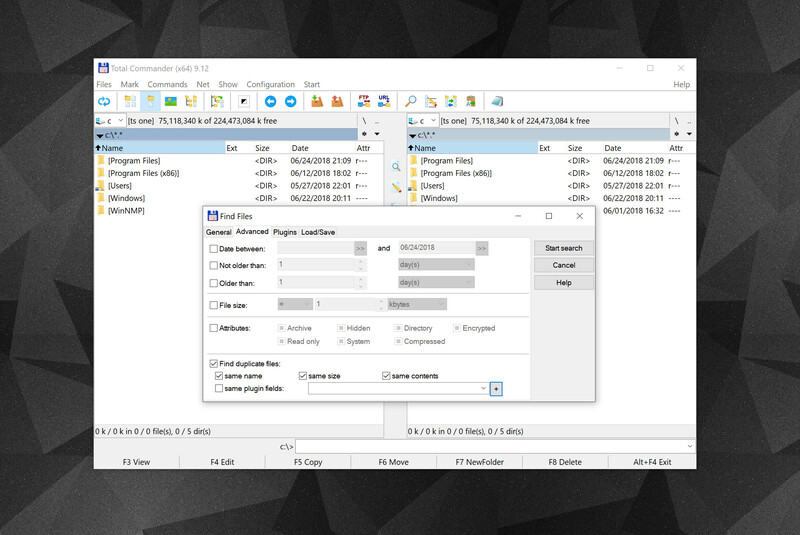 Those of you using the powerful File Explorer alternative Total Commander may know already that it includes the ability to search for duplicate files (it's on the second search page) among the dozens of other features it provides over the Windows File Explorer aimed at power users. 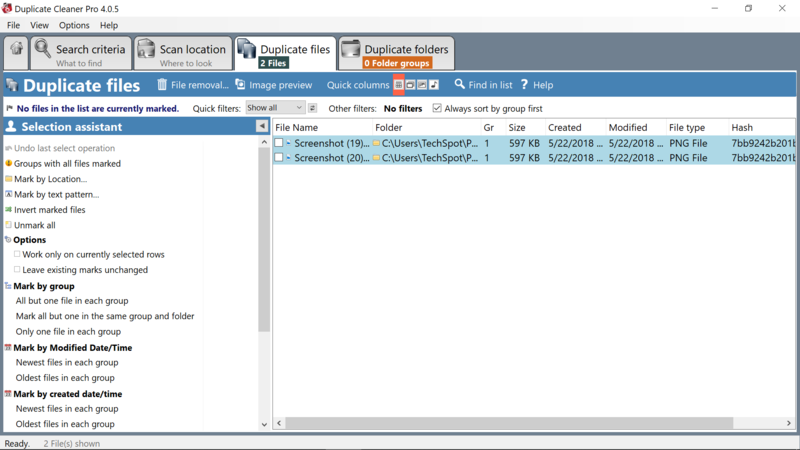 If you'd rather not add any additional third party software to your system or learn your way around a new file explorer, it's worth mentioning that CCleaner has a duplicate file finder built in (Tools > Duplicate Finder), if you happen to use that already. Note however we're not as fond of CCleaner as we used to be and there are better alternatives these days. We've installed all of the above and unless you're after some specific feature, CloneSpy gets our recommendation for having a light, albeit somewhat cluttered interface. CloneSpy displays just enough options by default, it's also free and can be run in "portable" mode without being fully installed, which we tend to like for this kind of utilities. On the premium end of things, Duplicate Cleaner is easily the most popular duplicate tool in our download section, touting loads of features and displaying them in a modern-looking interface that is responsive and scales well with a custom Windows DPI. If you only plan to run a few quick scans and then uninstall it, the software offers a 15 day trial but costs $29.95 for a lifetime license. 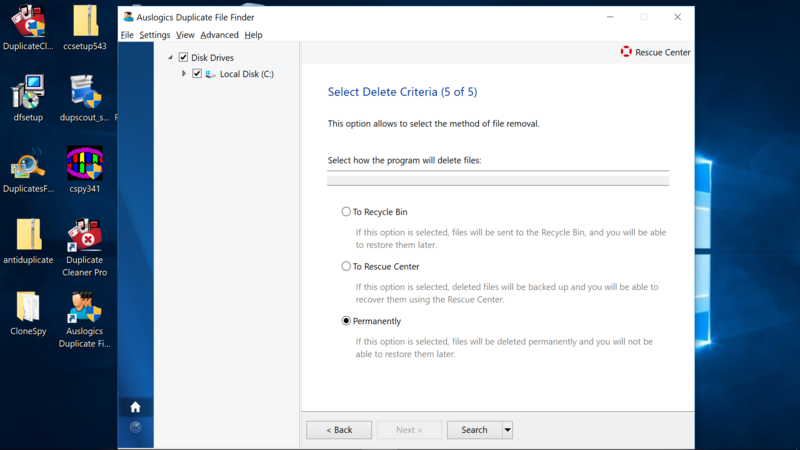 Although you have to uncheck crapware during its installation, Auslogics Duplicate File Finder is free and features a GUI that is about as modern feeling as Duplicate Cleaner yet walks you through the scanning process with a series of prompts instead of opening to a switchboard full of options. As a final mention, DupScout seems like a decent alternative to CloneSpy if don't care about having a portable installation yet want a relatively clean interface that isn't quite as dated or barren (add a profile on the left to get started). Didn't free up as much space as you thought? Duplicate File Finder Remover on the Mac App Store comes highly recommended, with a ton of features on top of a very intuitive UI. Some advanced features are available at a cost, but that's entirely optional. Two more recommended apps for macOS users: Trend Micro's Dr. Cleaner is free and offers a disk cleaner and big file finder. While Disk Inventory X is a dedicated tool to show the sizes of files and folders in a treemap graph, similar to the Windows example above.